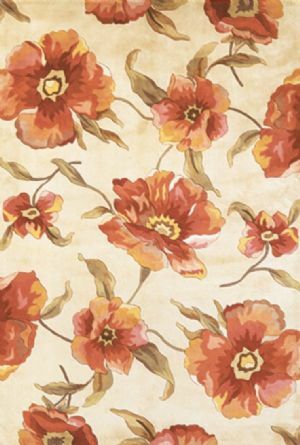 Catalina 0766 Ivory Poppies 79 x 106. Hand-Tufted of 100% Wool with Cotton Backing. Made in China.